« Shutdown: Brace for an onslaught of PFSD claims? First, it’s argued that walls are immoral because they repel the needy, deprive asylum-seekers … and are fundamentally racist. If you buy into the immorality argument, then legacy and sunk costs shouldn’t matter. Just because it’s already up and cost a lot to build shouldn’t matter. So, the only reasonable action is to tear the wall down. If you don’t buy into the morality argument, then … what about the Dems argument that that walls don’t work? Well, its broadly reported that illegal immigration apprehensions were reduced in the San Diego area of the border by more than 75%. The breaking point came in 1986, when Border Patrol agents in the San Diego apprehended 629,656 people, slightly more than the population of Las Vegas. That’s despite a continuing a heavy flow of border crossings. It’s just that the flow is controlled through well staffed, well equipped ports of entry. We have shopping centers and housing developments right next to the border, and it was impossible for that to have happened in the pre-Gatekeeper environment. We’ve proved that border security works. But, if you don’t believe the stats … and don’t believe the San Diego officials (and residents) … then you have no choice, right? 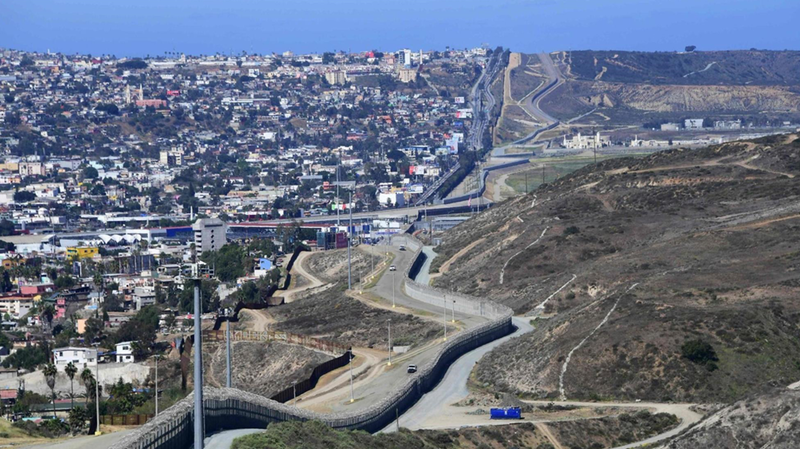 Tear down the immoral and ineffective wall between San Diego and Tijuana. Or, I guess you can just admit that you’re being hypocritical in the wall debate. In Pelosi’s case, I want to hear someone ask her why walls are OK to secure her state’s border with Mexico, but aren’t OK for the other states that want them. This entry was posted on January 21, 2019 at 6:59 am and is filed under Border walls. You can follow any responses to this entry through the RSS 2.0 feed. You can leave a response, or trackback from your own site. When will the USA finally realize how evil Nancy pelosi is???? She has spent $ millions on her own personal travel and has accomplished nothing. How can the American public let this continue?? !